Former Miss Universe Ukraine Alena Spodynyuk was the grand winner of Supermodel International 2017 held April 22 in Delhi, India. Brazil’s Katherin Strickert finished first runner-up while Thailand’s Kamontaht Laobuddeepatapee placed 2nd runner-up. China’s Zijun Zhang and Ethiopia’s Mekdalawit Mequanent were 3rd and 4th runner-up, respectively. 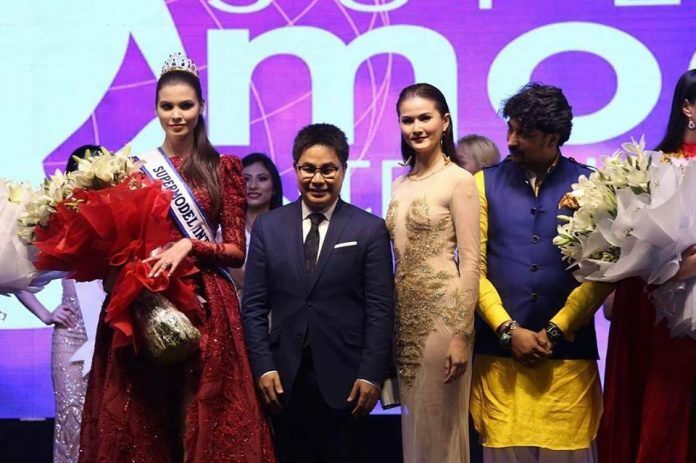 The rest of the 10 finalists were Anna Kapiteijin (Belgium), Moriska Momo (Indonesia), Eilem Akhmetova (Kazakhstan), Jeanine de Vries (Netherlands) and Janina Espinoza (Philippines). 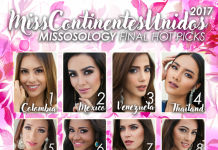 The candidates from Finland, India, Japan, Malaysia, Mexico and South Africa completed the Top 16. The continental special award winners were China (Asia Pacific), Ethopia (Africa), Jasmine Jarvinen of Finland (Europe) and Stephanie Ellen Almeida (USA).